SAN FRANCISCO & LONDON – April 19, 2012 – SEGA® of America, Inc. and SEGA® Europe Ltd. today announced that Total War Battles: Shogun™ is now available on the Apple App Store. The latest addition to the award-winning Total War strategy series from The Creative Assembly, Total War Battles: Shogun is a re-imagining of Total War, not a PC port, and is a strategy game designed specifically for mobile platforms with a multi-touch interface. SAN FRANCISCO & LONDON – April 17, 2012 – SEGA® of America, Inc. and SEGA® Europe Ltd. today announced that the previously arcade-only light gun classic, The House of the Dead 4™, is available for download exclusively on the PlayStation®Network. To put your creature-shooting skills to the test from the comfort of your living room, grab a copy from the PlayStation®Store today for $9.99. SAN FRANCISCO & LONDON – April 10, 2012 – SEGA® of America, Inc. and SEGA®Europe Ltd. today announced Episode Metal, a special unlockable story that will be available exclusively to players who have purchased both Sonic the Hedgehog™ 4 Episode I and Sonic the Hedgehog 4 Episode II on the same platform. SAN FRANCISCO & LONDON – March 14, 2012 – SEGA® of America, Inc. and SEGA® Europe Ltd. today announced the launch of Super Monkey Ball 2: Sakura Edition™ on the Android Market. Monkey maniacs and banana fans alike can take AiAi and the gang out for a spin in HD on supported Android devices and tablets by downloading Super Monkey Ball 2: Sakura Edition today for a limited-time launch price of $0.99. In addition, a free lite version of the game is now available for iPhone®, iPad® and iPod® touch on the App Store. SAN FRANCISCO & LONDON – March 2, 2012 – SEGA® of America Inc. and SEGA® Europe Ltd. today announced that The Creative Assembly, one of the largest and fastest-growing development studios in Europe, is expanding even further to explore new platforms in the mobile sphere. The new Total War Digital team is tasked with creating compelling new gaming experiences for handheld devices using the Unity development platform, and bringing the award-winning Total War series to an even wider audience. Do Monsters Go to Hell? Hell Yeah! 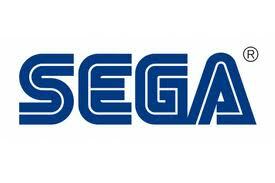 SAN FRANCISCO & LONDON – March 1, 2012 – SEGA® of America Inc. and SEGA® Europe Ltd. are excited to announce Hell Yeah! Wrath of the Dead RabbitTM! What’s this? You haven’t heard of it? That’s because it hasn’t been announced yet! Filled with comical gore, plenty of fake blood spatters and a hot-tempered rabbit prone to extreme violence, what more could you ask for? A drill? Ah, we have that as well. Located in the depths of hell and developed by Arkedo Studio, this single-player game will be unleashed on Xbox LIVE® Arcade for the Xbox 360® video game and entertainment system from Microsoft, PlayStation®Network and PC digital download in 2012. Continue reading Do Monsters Go to Hell? Hell Yeah! SAN FRANCISCO & LONDON – February 28, 2012 – SEGA® of America, Inc. and SEGA® Europe Ltd. today announced the upcoming digital release of fan-favorite: Jet Set Radio™, the wall-tagging, trend-setting Dreamcast™ classic from 2000. DJ Professor K, Beat, Gum, and all the GGs are taking to the streets in this upgraded HD version of Jet Set Radio, which sees players vying for control of the futuristic Tokyo-to by marking their turf with graffiti tagged across walls, billboards, and rival gang members. The slick gameplay, genre-blending soundtrack and pioneering art style of Jet Set Radio will be coming to Xbox LIVE® Arcade for the Xbox 360® video game and entertainment system from Microsoft, PlayStation®Network, and Windows PC Digital Download this summer.